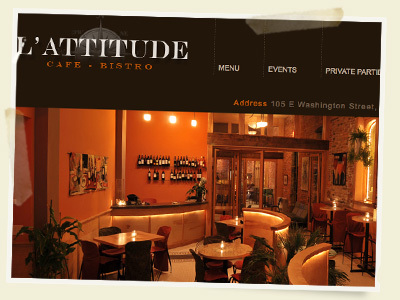 New site L’Attitude Cafe + Bistro launched! Love the tape thing you have going on there (and here). fyi, noticed the contact form gets pushed behind flash banner in IE 8 — and a bit slow loading flash banner on some subpages, could be my connection.